Hello Hye Fashionistas!! The sunny is FINALLY shining here in #yeg and we're hoping its here to stay!! We are MORE than ready to pull out our capris, dresses and tanks! We like to think that summer is THE best season to try out new styles & fun trends!! In-store now we have SO MANY great, unique pieces that work for a variety of heights & body types & we always have SO much fun styling them!! This super versatile waterfall front top can be twisted, tied or pinned to create 5 *ah-mazing* looks! Available in both this black & white pattern or a bold cobalt blue! 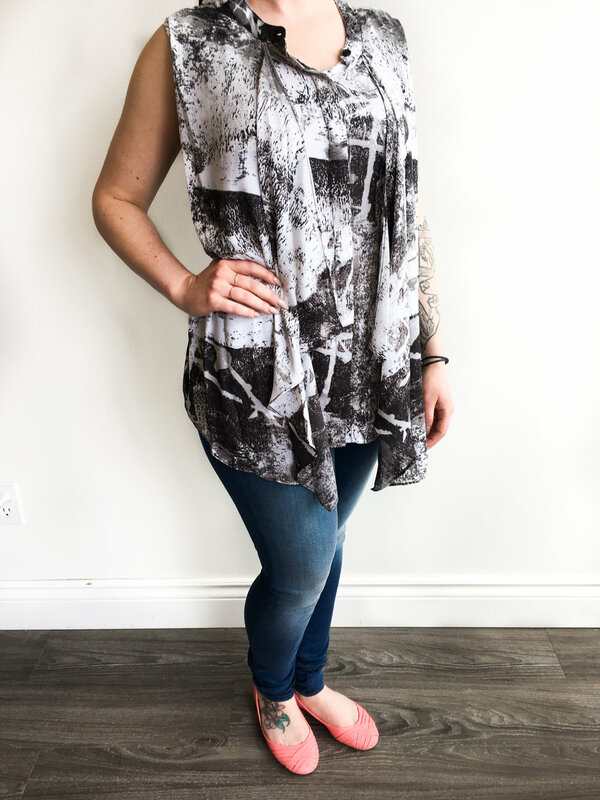 Two waterfall panels drape at the front to give you a casual, comfortable fit! 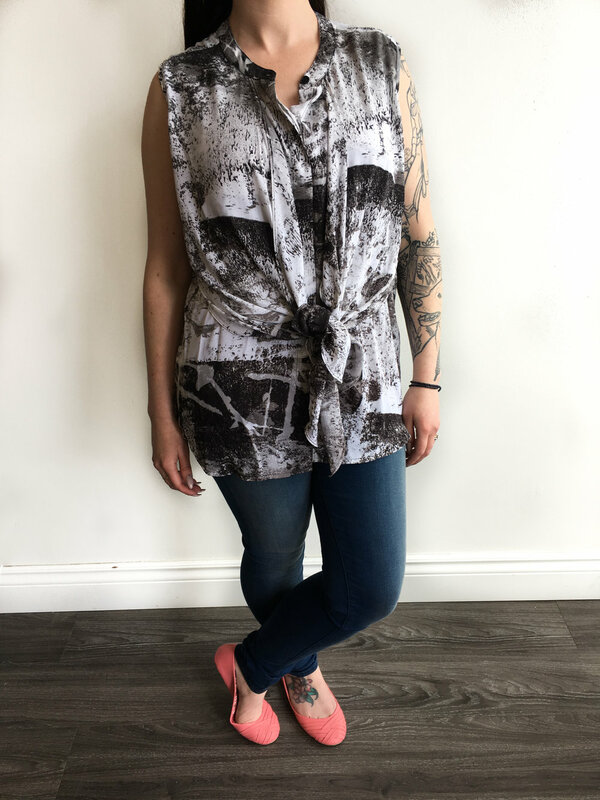 Layer with a tank and leave it unbuttoned for a trendy take on this piece! 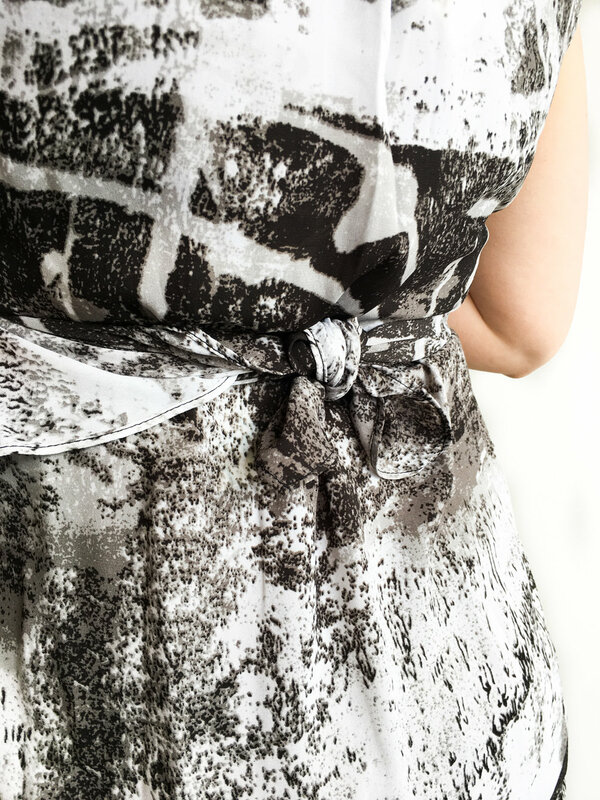 Use a pretty brooch or a safety pin to drape one end on the opposite shoulder! Take each end of the draping and pull them to opposite sides of your body creating a fitted up top shape! Tie or pin them back! Create a tiny bow at the back with each end! 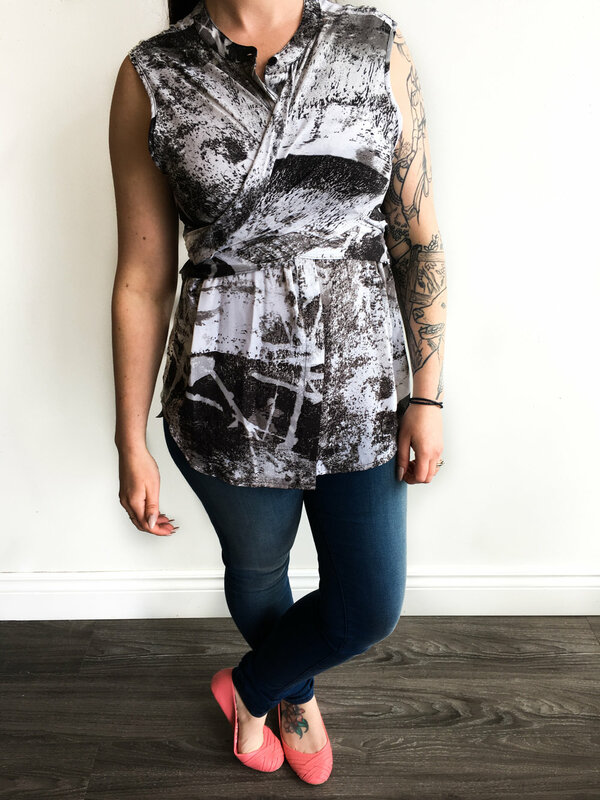 Tie the ends higher in front to create a more fitted shape up top with draped ends in front! Posted on May 25, 2017 by Hye Fashion.